One of the highlights of my photo career is in little red boxes all over New York City right now. After close to four years of working for the web version of the Village Voice I finally got to shoot a print cover, and not just any cover, I got to shoot Lloyd Kaufman. 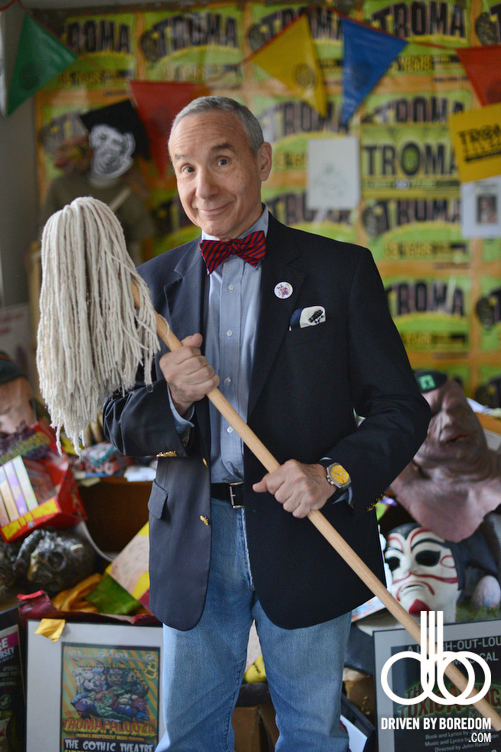 If you don’t know, Lloyd Kaufman is the co-founder of Troma Studios the world’s longest running independent film studio in the world. 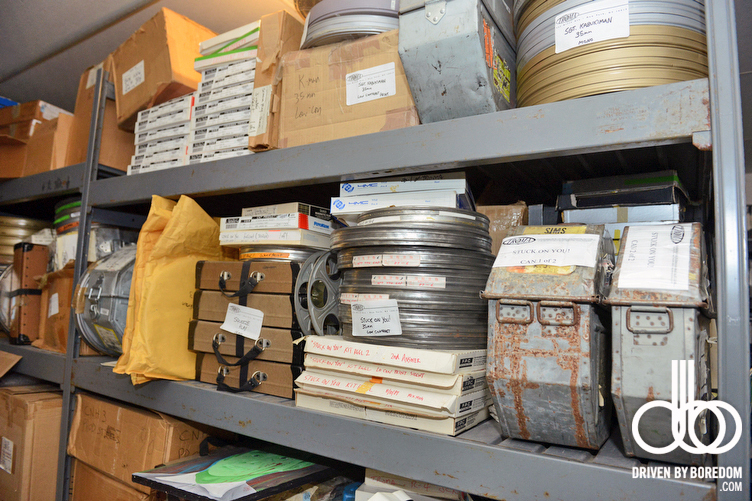 Lloyd and his crew have been making and distributing some of the worst best films known to man. 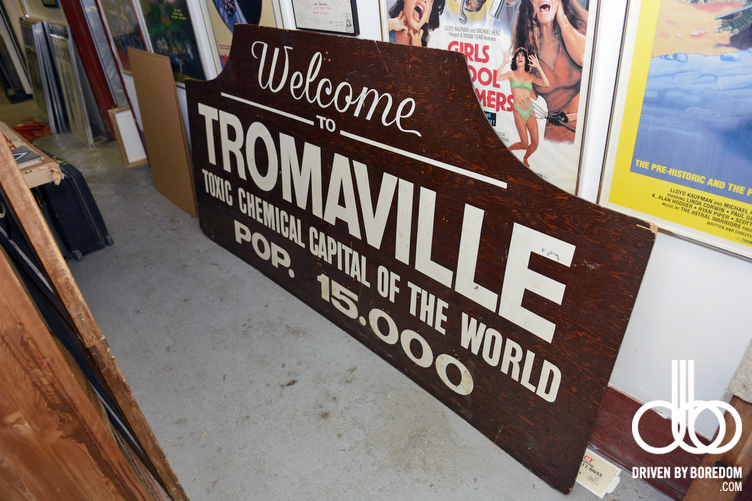 When I was 14 or 15 a friend who worked at a video store introduced me to the sick world of Troma and I have been hooked ever since. 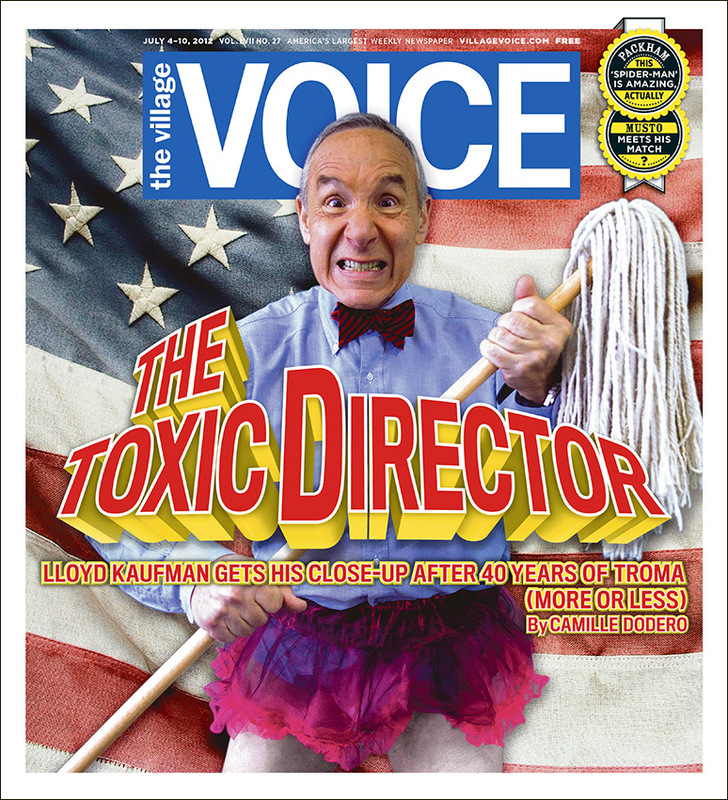 Lloyd Kaufman is one of my heroes and to be able to shoot him for my first Voice cover is a huge honor. The story was written by my juggalo anthropologist partner in crime Camille Dodero. We traveled to the Gathering of the Juggalos, not once, but twice and we will be forever bonded in Faygo. I was so psyched she brought me along on her Tromatic journey. You need to read her article on Lloyd! When the Voice’s photo editor started talking to me about the shoot all I could think about was putting Lloyd in a tutu and having him pose as the Toxic Avenger. Toxie, as he is lovingly called, was the first Troma superhero and The Toxic Avenger was Troma’s first big hit in 1984 and pretty much the basis for everything that has come since. Toxie fights crime with a broom dressed in a tutu and luckily for me the 66 year old Lloyd was ready to take off his pants and put on the pink skirt. The issue was due to come out on July 4th and the original poster for the Toxic Avenger featured Toxie standing in front of an American flag. Troma already had a green screen set up in their office so we just remade the poster with Lloyd as Toxie. It was perfect. 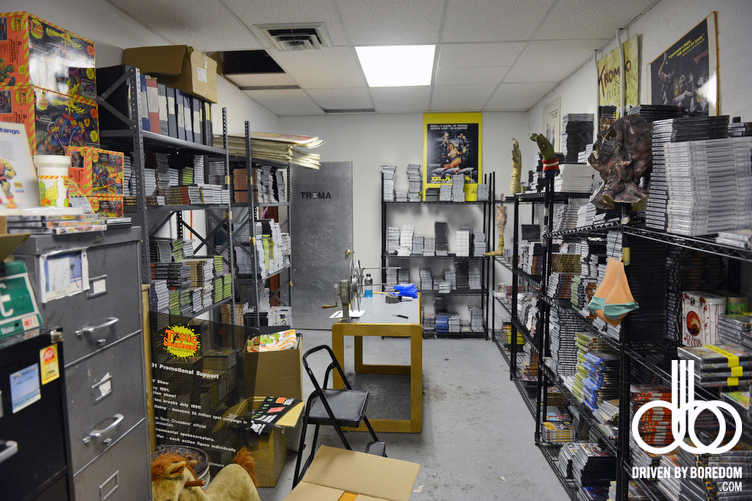 I shot a ton of other photos of Lloyd as well and I was also given a tour of Troma’s Long Island City office. There is so much weird stuff in there and I got to take photos of it all. After the photo shoot there was a casting for Troma’s newest film, a remake of their classic “Class of Nuke ’em High”. My friend Zac was actually the first person to audition and he ended up getting completely naked and vomiting fake green puke all over the place. Zac is not a skinny man and the whole thing was quite horrific in the best possible way. 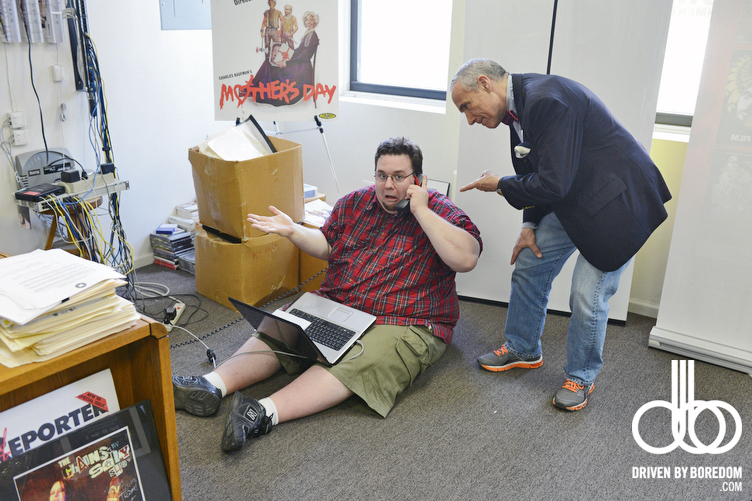 I decided you need to see all of these out takes so I am providing a wonderful gallery of pictures of Lloyd, the Troma offices and a naked fat man puking. Be warned it is very not safe for work. 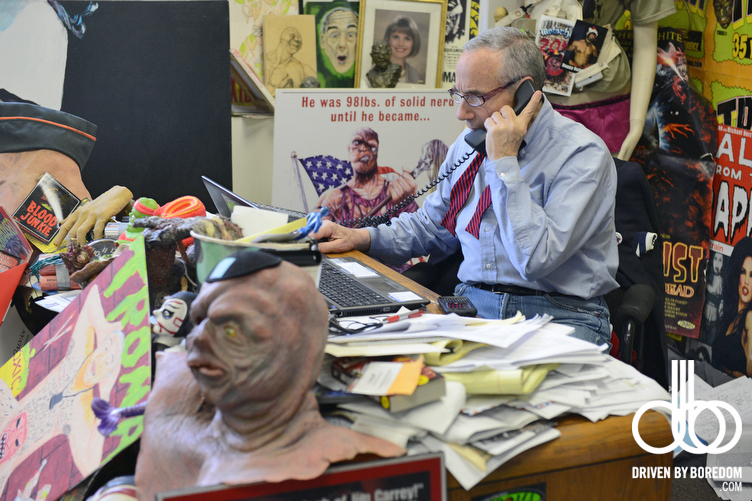 So yeah, read Camille’s article and then click right here to see all my outtakes from the Lloyd Kaufman Village Voice shoot and my tour of Troma Studios! no way, that’s awesome dude. I remember Toxic Avenger!